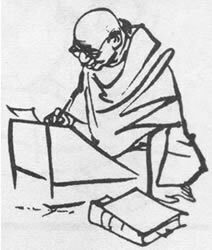 Aims: To promote and propagate the life, work and philosophy of Mahatma Gandhi, the father of the Nation, through visual arts, photographs, paintings, manuscripts and display of his worldly possessions (relics). Also to set up memorial pillars, tablets and establish a few museums and libraries in different parts of India. 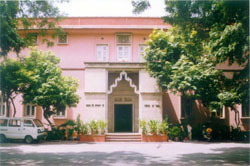 Content: The museum section contains huge picture galleries depicting Gandhi's life, work and ideals in photographs, artworks, paintings and his relics. Also a well-maintained specialized library having nearly 40,000 books, magazines, his correspondence, books on world peace and religions. Special activities: Film shows on Gandhi and his contemporaries, occasional special exhibitions, seminars, conferences on various topics. Publications: Small pamphlets about the Museum and Library. Free Film Shows every Saturday & Sunday (4.00 to 5.00 pm) & on request. Special Exhibitions from 2nd Oct to 30th Nov & from 30th Jan to 31st March every year. Information about the Museum, its Galleries and Displays. Library Catalogue of 26,000 titles on Mahatma Gandhi, Freedom Movement in India and allied Subjects. Captions of 6,000 photographs of Mahatma Gandhi and other leaders of Freedom Struggle. Catalogue of Books (1,600 titles), Cards, CD's, posters on sale in the Museum. List of Recorded Speeches of Mahatma Gandhi on Audio-tapes and of Films. List of Publications by the Museum. Various Services offered by the Museum. Galleries : 09.30 A.M. to 05.30 P.M. Mondays closed. Library : 10.00 A.M. to 05.00 P.M. closed on Mondays, Gaz. Holidays & 2nd Sunday of the Month.